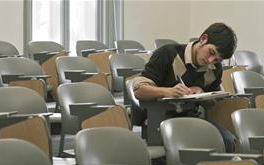 Have you ever wondered how to do successful college writing? It's not as hard as you might think. You just need to follow an established process and you will be able to complete any writing assignment! Something that you need to remember if you want to have successful college writing is that you still have to put forth the effort. A good college paper or college essay will take time and effort. Putting forth the effort with a fixed purpose and with determination will make sure you the A-grade you want! Your purpose drives the train of successful college writing. If you don't have a clear purpose (sometimes called a thesis statement), then you won't have direction to your research or writing. The clearer the purpose statement the better! Make your purpose about something that interests you and how it has affected society in a particular way. Or get a topic that you are generally interested in, and then answer the "Who, What, When, Where, Why, & How" of the topic. You'll certainly find something that interests by doing this. Something to remember with your purpose statement is that it may take some time to make a clear and researchable purpose statement. In successful college writing, having correct and clear information is a must! You must know what the main ideas of a subject are and the arguments for and against those ideas. 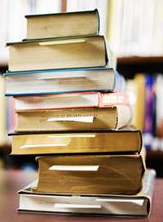 Going to your school library (or the library's webpage) is a good place to start your research. If you aren't sure where to start looking, ask a librarian for suggestions. These people are here to help students. Another place to go is the library's webpage. Most library webpages have a search tool that you can enter in a general keyword and get instant results that are relevant to the keyword in the form of books, articles, and references. If you do use research information from an internet website like wikipedia, just make sure to double check it and verify that it is correct (wikipedia is usually pretty accurate though and can be a good resource when looking for more sources about your subject). Make note of these sources in a bibliography. You are going to have to make a bibliography or works cited page anyway, you might as well make it easier for yourself and start while you are researching. A simple way to make a bibliography is to use is easybib.com. You can make bibliographies for books, websites, newspapers, articles, etc. and you can do it in MLA, ALA, or Chicago/Turabian formats. Don't you just love tools that make life easier! If you don't know what mind mapping is, I made a video that you can see on youtube here. I use an online mind mapping tool called freemind. 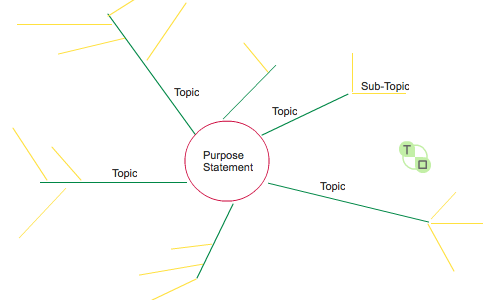 Another browser based mind mapping tool you can use for free is wisemapping. In short, you start with your purpose statement in the middle and circle it. Then you branch out with lines drawn out from that center circle with a keyword (a main idea or topic of your research) one each line. Then, lines are drawn out from each of those lines as sub-topics (I hope that makes sense!). Something that will make successful college writing even easier for you is to use this process in steps 2 & 3 as you make a bibliography. Use your mind map (making an outline) as you find your sources to get a jump on your writing. As you make this mind map, keep what you write on each line to as few words as possible. You want key ideas, so no more than 4-5 words on each word. 3 or less per line is ideal! These words are keywords because they prick your memory. This should spark your memory with what you've learned about that topic, so that writing will flow more easily. Your mind map becomes a natural outline for writing. Use your mind map to write your first draft. Start with the first idea of the mind map and then just go from topic to topic to topic using what you've learned and using the mind map as a guide. Make sure that as you write your draft to just keep writing. Keep your grammar and spelling as correct as possible, but don't fret over them. This is just a first rough draft. You'll polish your writing later. I capitalized out loud because for successful college writing to happen you need to have smooth, clean, and polished writing. Reading your paper out loud to yourself is key to this. Being able to hear each sentence and each phrase out loud will help you catch any parts of your writing that are hard to read. This will also help you catch any grammar and spelling issues that need correcting. Do that now. This might be a little uncomfortable at first, but the results you get from this technique will amaze you! As you read along, you will find spots that are uncomfortable for you to read. If you can't read it to someone else, then that is a good readability signal to change it! This step for successful college writing also adds an incredible opportunity for you to receive feedback from the person listening! They will be able to give good suggestions to your writing. Stay open to this! They have a fresh, helpful perspective. When you read this out loud, you'll want someone who knows the basic rules of grammar, and someone who can give you their undivided attention for about 5 minutes. Take the suggestions and polish your work! Use the listener's feedback to your advantage and make sure your works cited page is correctly formatted. Then, make one last check for grammar and spelling errors. A good website to quickly check grammar, spelling, and readability is called grammarcheck.net. This website will let you copy and paste your writing right into the website and it will check your writing for you. Plus, it's all free. Again, don't you just love tools that make life easier?! Make sure to tie your purpose statement through the paper. Then bring it all together in the last paragraph for a strong finish. Last of all, you must turn it in on time!!! Using these tips for successful college writing will all be for not if you don't turn your writing in on time.